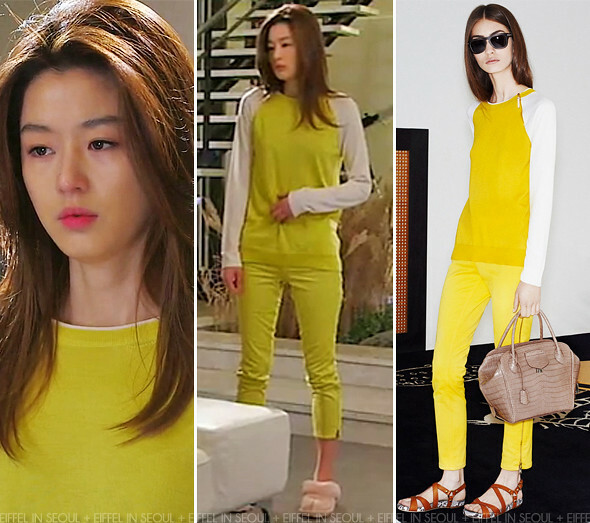 Gianna Jeon Ji Hyun (전지현) wore a bi-color cashmere pullover with a pair of matching side-zip denim pants from Louis Vuitton Icons Spring 2014 collection. A pair of pink Uggs completed her casual look. 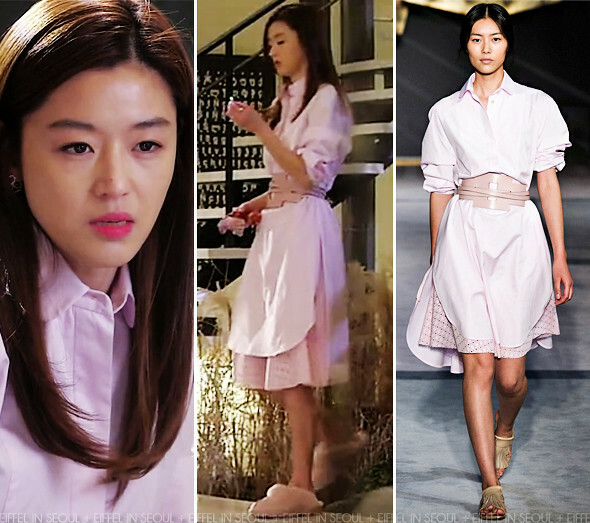 Later in the episode she wore an oversized pink dress with perforated design on the skirt from Tod's Spring/Summer 2014 collection. The same belt seen on the runway and the same pair of Uggs she wore above to finish her look.